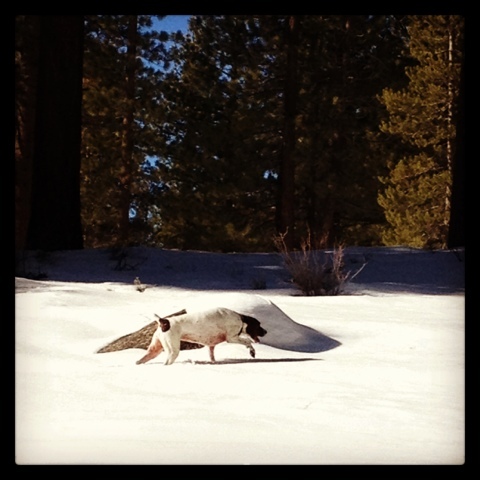 It was another sunny mellow weekend in Tahoe! We're going on 6 weeks since any significant snowfall. Yes, we've had a inch here and there, but this girl is ready for a few feet of snow and some tree riding! Pray for snow. Friday night was pretty low key, I enjoyed some wine with the ladies. Saturday, the Mr and I headed to Reno to check out the Patagonia Outlet 40% off sale. Unfortunately, my size was sold out in the items I wanted. 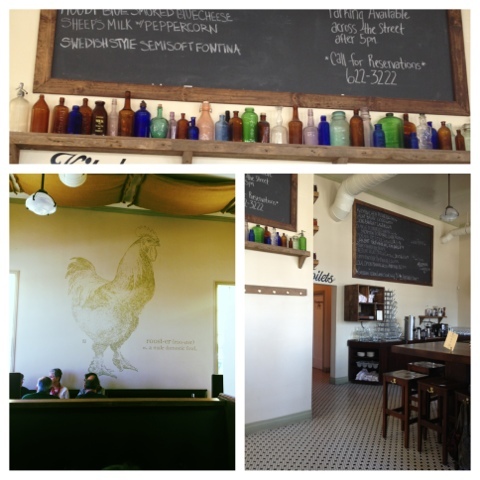 The upside -- we tried a new resturant in Midtown-Reno, Old Granite Street Eatery. 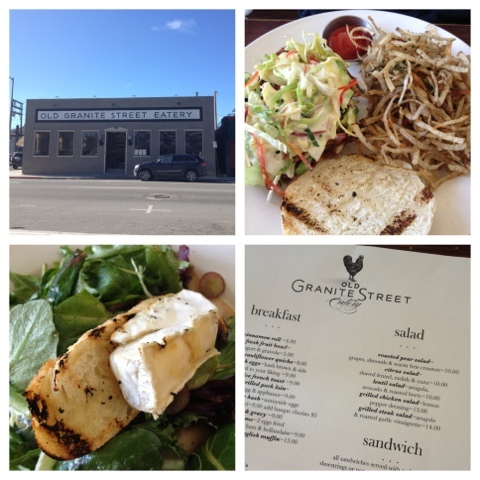 I ordered the roasted pear+grape salad with brie and the Mr. had the pulled pork sandwich. The decor was cute and simple. One wall had a massive rooster while the other had a pig. They even served water in vintage bottles. Sunday we thought about snowboarding, but we really needed to do some house chorus. I might have made a run to TJ Maxx and Pier One Imports too. Some of the new purchases are now living on the mantel. 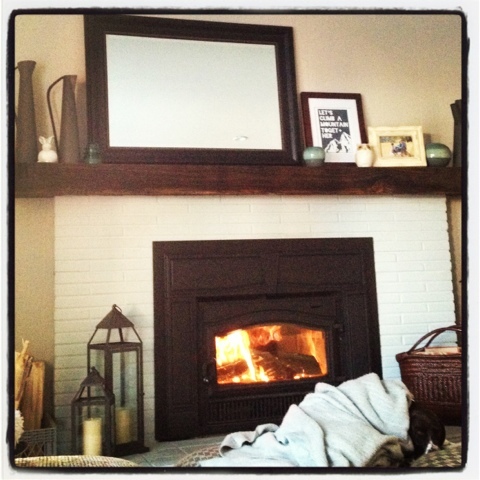 After an afternoon walk with the dog we relaxed by the fire, enjoyed some wine and watched hockey. I'm looking forward to the three day weekend, what about you? psst: There's still two days left to enter my Firmoo giveaway! Don't delay. What a cute little restaurant! Your salad and the sandwich sounded so yummy! Not sure what "tree riding" is, but I will be praying that you get some snow :) Have a great week! Thanks! Basically when there's a lot of snow we go off the groomed runs into the trees. It's a lot of fun. Yummy!! That food looks awesome. New follower here from the weekend linkup with Sami! Food at the Old Granite looks yummy. And seems like you had a very good trip.